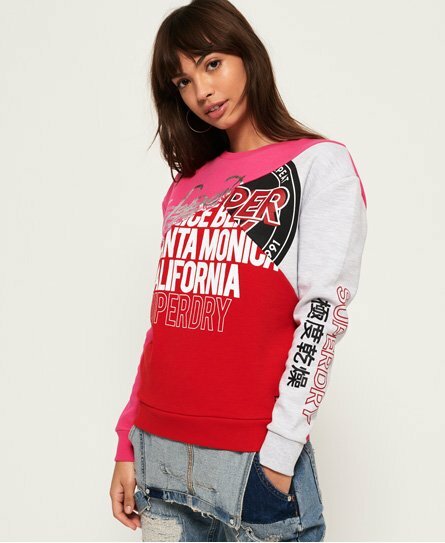 Superdry women’s Skater colour block sweatshirt. Add some colour to your wardrobe with this cotton blend sweatshirt. Featuring a large Superdry logo graphic in a variety of styles and textures on both the chest and sleeve. This sweatshirt is completed with ribbed cuffs, hem and neckline and a Superdry logo badge just above the hem. Throw this on with your favourite pair of jeans for a winning look.